I like to incorporate themes from the message when possible. 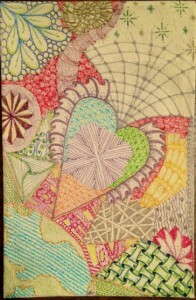 My “string” is sometimes a quick sketch of something from the message and then tangles around the string/sketch. The first one is “Easter Sunday” (2010), shortly after my first class with Rick & Maria. 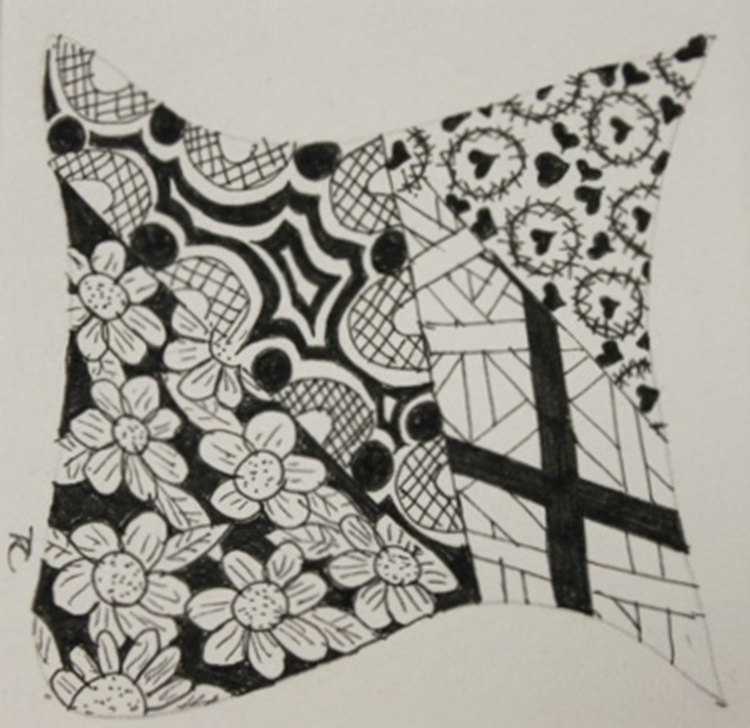 I was still scared of shading at the time so many of my earlier Zentangle tiles are unshaded. I have chosen to leave them that way as they help me see how my artwork has changed over time. 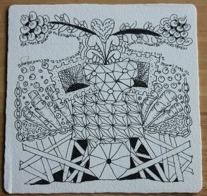 Both tangles are done with a Micron 01 pen on Zentangle Tiles. Since I don’t have usable sewing machine to create a banner with fabric elements, I decided to tangle my contribution. I used Big Brush pens from Faber Castell as well as various Pitt Pens. The banner is made of canvas.